The latest data recovery software known as the iSkysoft data recovery is the best data recovery program for Mac and PC. It is capable of recovering all types of files from Mac and Windows PC no matter what and how you lost them. ​There is always a need for computers to get a data recovery software which has the ability to recover lost files that might have occurred for several different reasons. As an answer to this necessity, iSkysoft has developed a software that seamlessly does all forms of data recovery on Mac and Windows. iSkysoft data recovery software has been designed to recover files irrespective of the reason for the data loss. It recovers deleted files from Mac and Windows as well. Can pull a recovery from recycle bins of Mac and Windows PCs. Recover lost partition of a hard disk and even recover formatted files. Recovers files lost due to system crash, self-deletion, and even virus attack. Mac and Windows file recovery of almost any files types with over 1000 supported file formats. iSkysoft data recovery software is available for download on both Mac and Windows computer so as to serve a wider range of users. It really does not matter what has caused a loss of data on an PC, iSkysoft provides different recovery types based on the diverse recovery algorithm programmed into the software. In short, recovering files from Windows and Mac with iSkysoft data recovery software can be done in just a few clicks. This data recovery software has a few straightforward steps that can be carried out by anybody with some basic computer knowledge. It has a user-friendly and an attractive interface with simple onscreen instructions. Now, there are times when some users might have mistakenly deleted important information from their computer and they wonder if a recovery is possible. Well, with data recovery software like iSkysoft, the process just became easier and hassle-free. 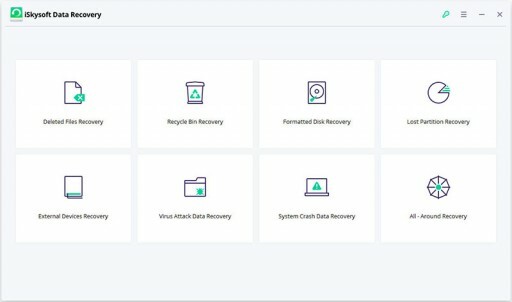 To retrieve deleted data from Windows or Mac, simply download iSkysoft data recovery software to a personal computer, install it and wait for the software to scan the computer. Then preview and select the desired data needed to be recovered from the visible options. Data recovery for Windows and Mac is as simple and quick as iSkysoft’s Android recovery or iPhone Recovery process. Both, iSkysoft Data Recovery and iSkysoft Toolbox have amazing functions that can recover all types of lost data, whether from Mac, Windows PC, iPhone or Android. And iSkysoft Toolbox can recover iPhone data, transfer files from and to an iPhone and an Android device. Additionally, it can fix iPhone errors without loss of data, remove and bypass the lock screen of iPhone and Android phones and also switch data from one phone to another. iSkysoft is a technology company that was founded in 2004 by a group of young individuals with the passion to solve problems faced by people on a daily basis on either a Mac or Windows computer. The company was officially established in 2007 by the launch of their product “Video Converter.” Although it was primarily aimed at just the production of Mac software, they eventually ventured into the development of Windows programs as well. In 2012, they developed a PDF editing software known as iSkysoft PDF Editor Pro to cater for the unending needs of Mac users for a PDF editing software. A year later they started developing programs to help users with the recovery of files from a wide range of devices starting from Mac, external USB drives and mobile devices. iSkysoft has successfully been installed over 9 million times by users from over 230 countries around the globe.